anina.net reports from inside the fashion show as a model, sending photos to 360Fashion Shopping Map powered by pikeo.com, via cellular technology to create a real-time online map of the AND BEYOND fashion show. 360Fashion reporters appeared to promote the performance on video and photograph the backstage with 2 N93, 1 CANNON EOS400, 7373, and 2 90's. People not able to attend the event were able to watch it broadcast live, via the 360Fashion convergence platform. Anina - Fashion Blogger and PodTech Podcaster in Paris Here is an interview with Anina at Anina.net who is doing an amazing job with her fashion platform. 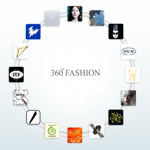 She is working on a new platform for the fashion and mobile platform called 360fashion.anina.net. anina is an american model from michigan. she is currently living in paris, france. Anina is passionate about technology and has been collaborating with Nokia Corporation for the last 1.5 years. More information can be found about her through articles written about her and her projects in the PRESS list on her blog: www.anina.typepad.com. 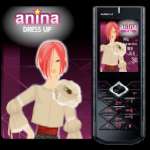 Her most visual project with Nokia Corporation is the 360fashion.anina.net website. Anina enjoys yoga, snowboarding, travel, art, cinema, music, and speaks 5 languages: english, german, italian, spanish, french, (and some japanese). She hand-coded her entire website & wap site.